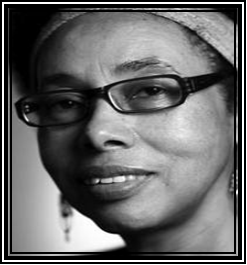 Grace Nichols was born in Georgetown, Guyana, in 1950 and grew up in a small country village on the Guyanese coast. She moved to the city with her family when she was eight, an experience central to her first novel, Whole of a Morning Sky (1986), set in 1960s Guyana in the middle of the country’s struggle for independence. She worked as a teacher and journalist and spent time in some of the remote areas of Guyana. That period influenced her writings and initiated a strong interest in Guyanese folk tales, Amerindian myths and the South American civilizations of the Aztec and Inca. She has lived in the UK since 1977.